This Tablecraft 748A 48 oz. 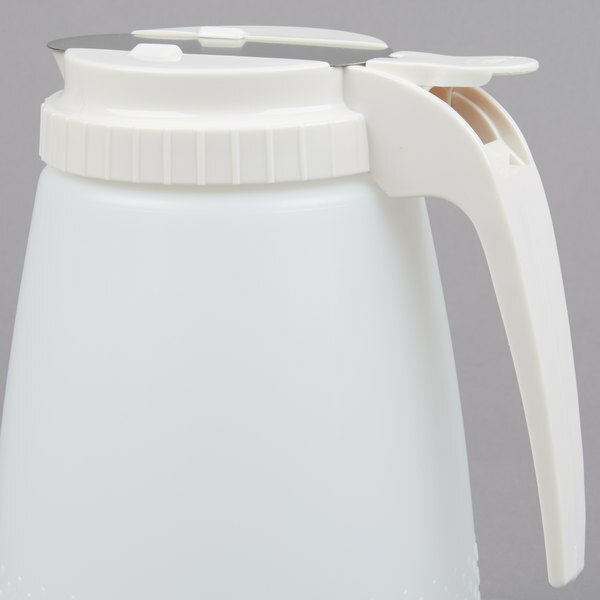 polyethylene all purpose dispenser with white top is ideal for dressings, batters, oils, and mixes. 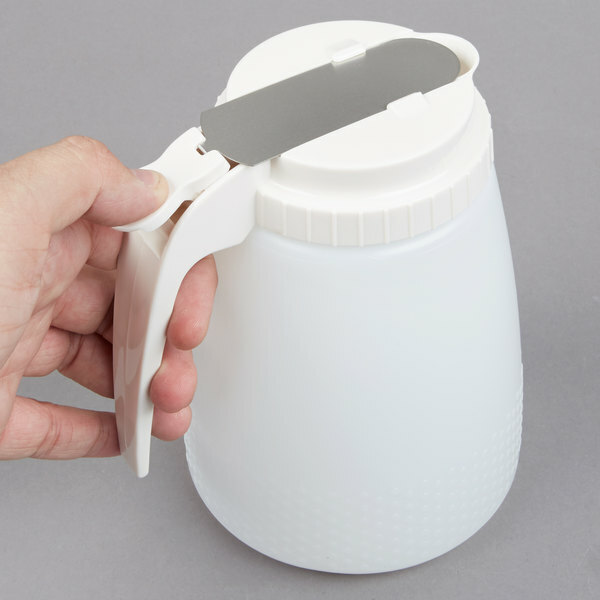 This container comes with a screw-top lid complete with a thumb tab to open the pour spout. 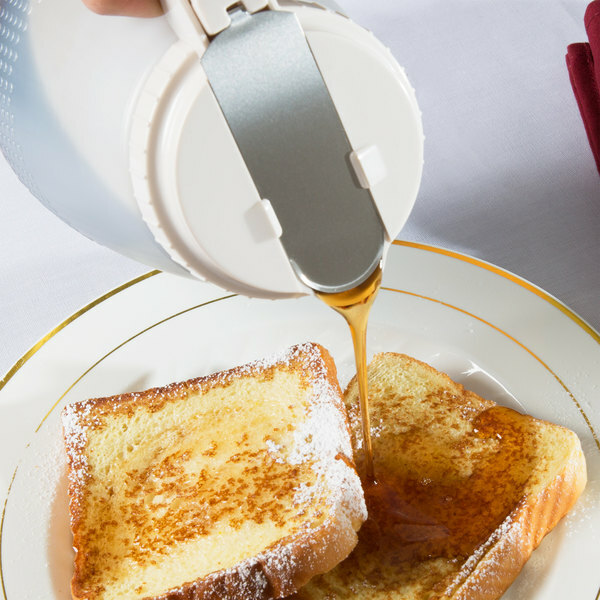 This design allows you to easily control how much is dispensed and also helps to minimize the mess that often comes from pouring a thick batter, syrup, oil, or dressing. Use these for all of our dressings and sauces. Great way to keep things neat and tidy in the salad and expo areas. Durable product! These easy pours and a huge part of our restaurant operation. For the most part, they do not leak. The only product that I've found that leaks out of them is scrambled eggs. Weird but true. Salad dressings, sauces etc. stay in perfectly well, but our pre-scrambled eggs leak on the edges. Can't figure out why. We make sure the lid is on tight, but some still manages to escape. These easy-pours definitely prefer thicker liquids. Regardless, they are one of the most valuable pieces of kitchen equipment that we use. 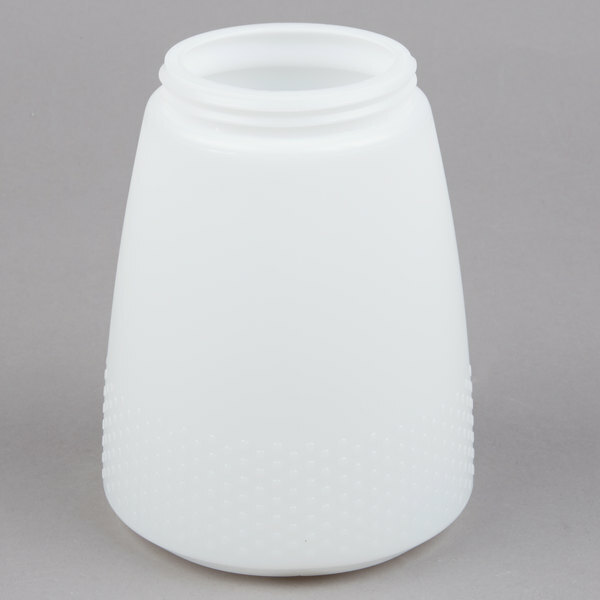 This larger size container is perfectly sized to hold ranch or something we go through a lot of, we do not have to switch containers as often since it holds a larger amount. These are great dispensers for many different purposes. They are compact and easy to refill. We like to use these for household cleaners, detergents. I would recommend buying several. I love using these dispensers at the restaurant. They are great to use on my taco cart and easy clean up. They are durable, dishwasher safe and easy to label. 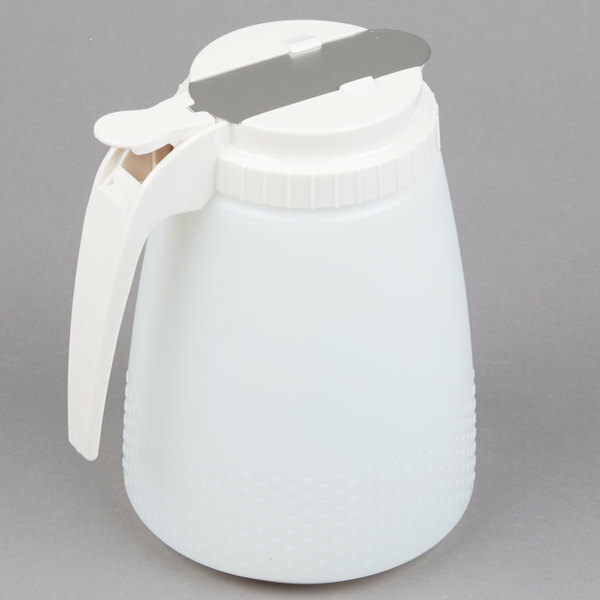 I have ordered these several times - they are so handy and easy to clean. Your hand can actually fit inside to wash it out if washing by hand. Lid fits tightly with no leaking. When the flow is closed, not one drop comes out. Really great. 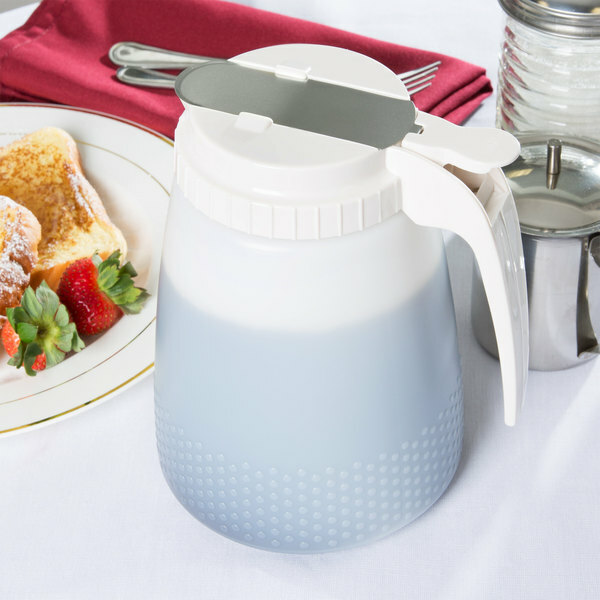 The Tablecraft All Purpose Dispenser is durable and affordable. 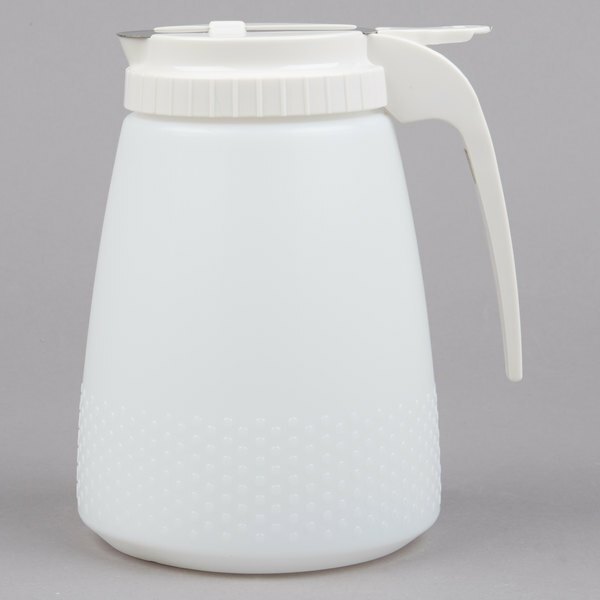 We use them for dressings and syrups and the top allows for minimal spilling or over pouring. Perfect for us on an expo line for sauces. They are also durable and last forever. Highly recommend for high volume places or just for convenience. We have bought so many of these that I should be buying tablecraft stock. They are durable and reasonably priced. The release lever never gets stuck and the sauces pour easily. Very useful.